The courts have moved another step towards fully-video hearings. 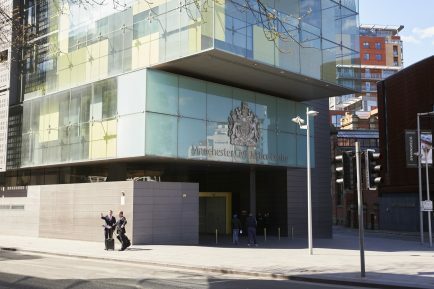 A pilot scheme in Manchester and Birmingham will test a procedure for applications to set aside County Court default judgments. The trial follows the first fully-video hearings of tax tribunal appeals, see Brunel News, November 2018. The move is part of a reform programme to modernise the court system. The video hearings will cover requests to set aside county court judgements for debt, where individuals believe they do not owe the money claimed. People can apply to have judgements set aside if they did not receive, or did not respond to, the original claim from the court saying that they owed money. Normally, individuals need to attend a hearing at the court. Under the new pilot, parties will attend the hearing using a video-link. They will see and hear each other and the judge determining the application. The pilot will run from 30th November 2018 to 30th November 2019 at the Manchester or Birmingham Civil Justice Centres. The hearings will be held in public, with members of the public able to see the hearing on a screen in the court room. The trial was announced as part of the 101st update to the Civil Procedure Rules. Reports about the development have been published by the Law Society Gazette and Legal Futures. Brunel provides expert professional indemnity insurance broking services to professional firms. Visit our website to find out more or call Jonathan Filer on +44 (0)117 325 0752.